Since you are ordering today, you have the opportunity to upgrade to the Fitness Model Program Deluxe Edition. This includes everything you just read about the Fitness Model Program, plus these extra bonuses. 101 Things Not To Do To If You Want To Lose Weight! 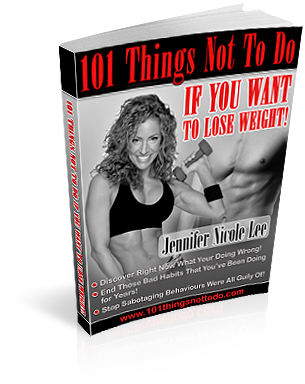 JNL's 101 Things NOT To Do if You Want to Lose Weight is an essential guide providing YOU with insider information on how to lose weight and keep it off for good. Lets face it ladies- we as women will always be judged on our outer appearance plus we deserve to look and feel our very best! It has been noted in a highly reliable survey that by the age of 30, an average everyday woman would have spent anywhere from $30,000-$50,000.00 on beauty, fitness or weight loss programs. The worst part is the majority of these consumers still have not seen results! 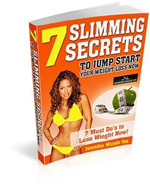 JNL’s  Exclusive 7 Slimmig Secrets To Jump Start Your Weight Loss Now will help you get a fast start on your weight loss program today! 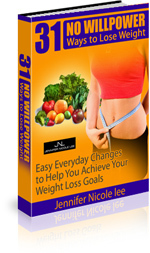 JNL’s  31 NoWill Power Ways To Lose Weight contains easy everyday changes to help you achieve your weight loss goals. For a total of $129.91. But with this special Deluxe Edition combo offer you can get all these programs for only $30.00 when you order the Fitness Model Program Today! YES! I want the Fitness Model Program Deluxe Edition. I understand that I will get everything in the Fitness Model Program Basic Edition AND The 101 Things Not To Do To Lose Weight E-book, 7 Slimming Secrets To Jump Start Your Weight Loss Now E-book, and 31 No Will Power Ways To Lose Weight e-book. I understand that I am getting a great deal and saving $71.94 by ordering both programs in this great package deal. 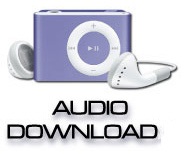 Click here now to order the Deluxe Edition for $39.95. YES! 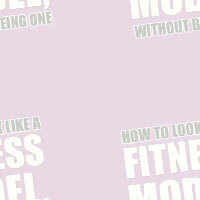 I want the Fitness Model Program Basic Edition. I understand that I will get everything in the Fitness Model Program Basic Edition, including the Fitness Model Program e-book, the Motivate to Lose Weight! 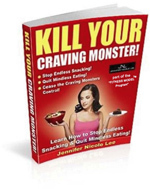 MP3 Audio, the Kill Your Craving Monster E-book, and the Bikini Bootcamp Program E-book.